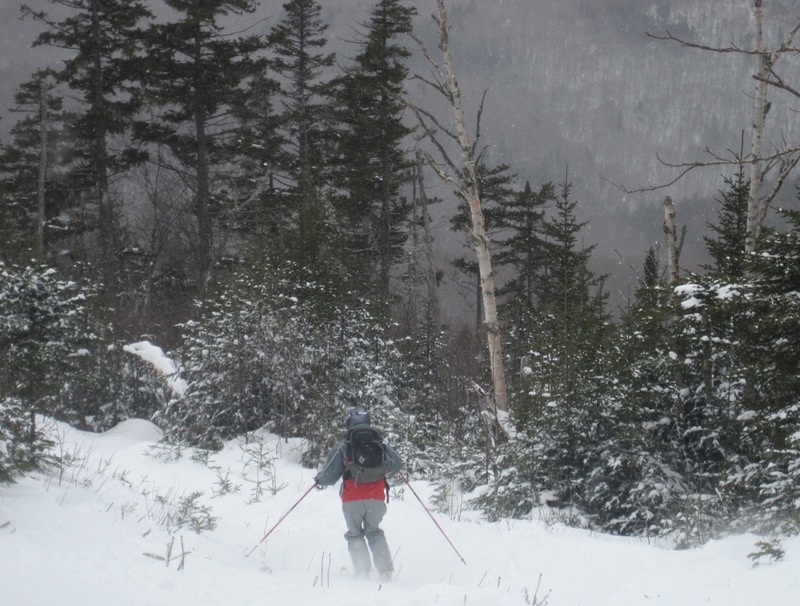 Cannon has a wild feel and it’s a beautiful, inspiring place to ski. The mountain is big, rugged and the Franconia Ridge is a stunning backdrop to everything you ski and do. 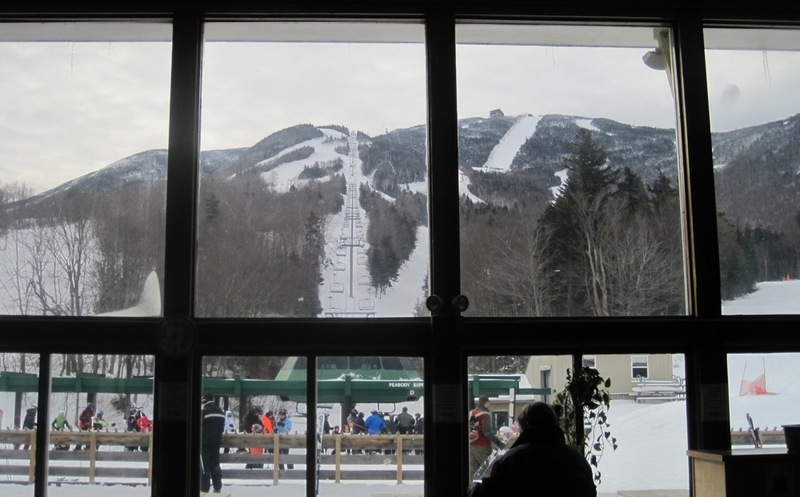 The Northeast Ski Bloggers Summit chose New Hampshire as its base of operations for this year’s meeting. 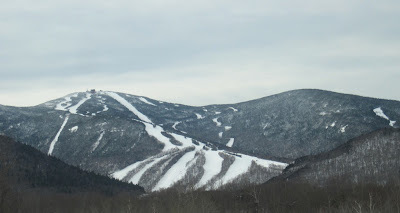 Our first day was spent at Cannon; arguably the state’s most challenging lift-served mountain. 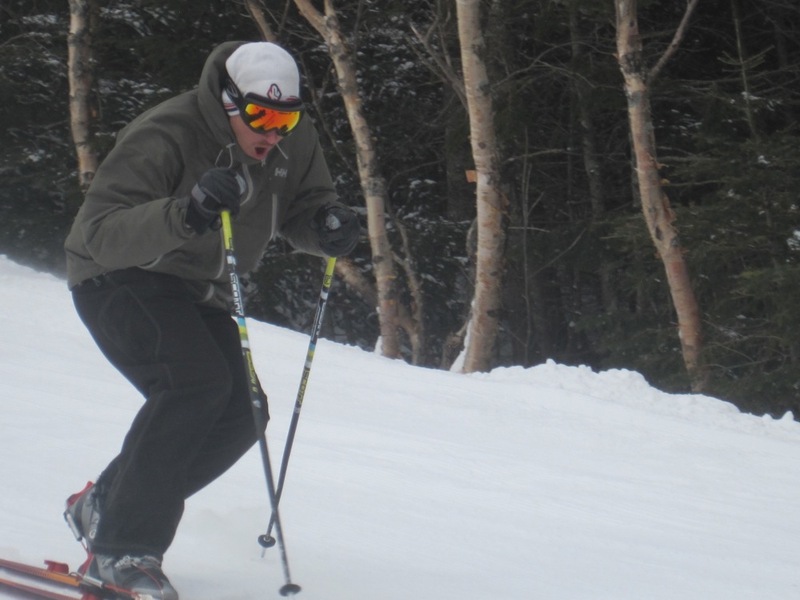 With the reopening of Mittersill, the mountain has a little bit of everything. Today, conditions were very windy above the base area and lift rides demanded a certain sense of humor. We started off the Peabody and Cannonball lifts and found fast but mostly carveable cord interspersed with nice pockets of wind-loaded granular manmade and natural snow. 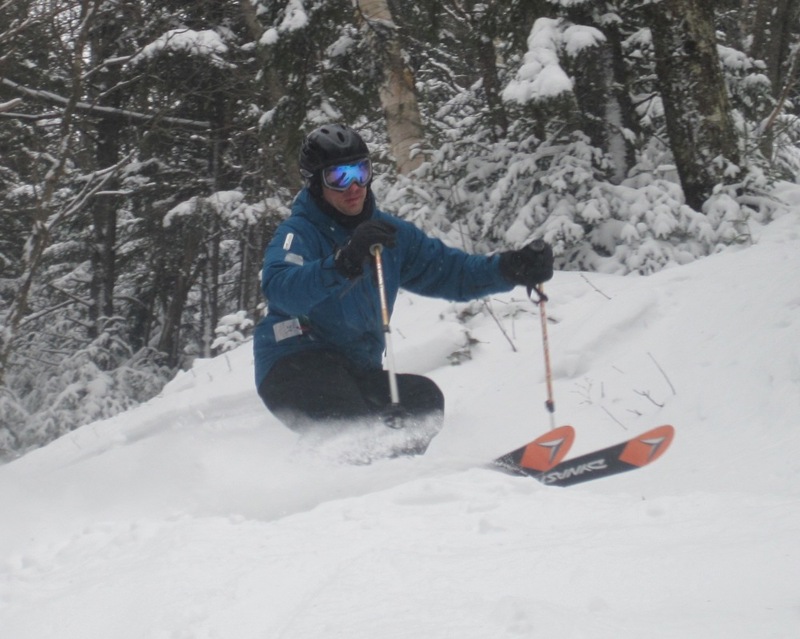 One of our goals for the day was to get over to Mittersill and ski some natural snow. Cannon’s sibling is across a gentle but windy traverse. 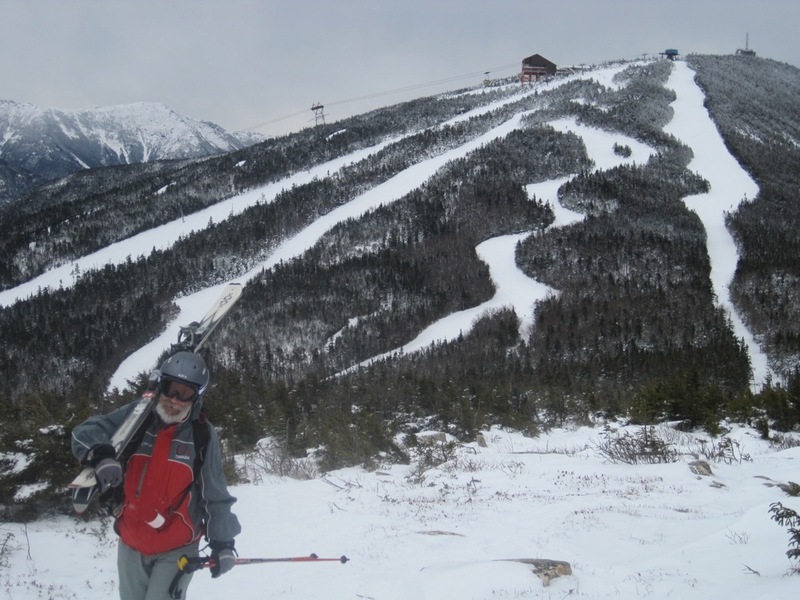 We skied Mittersill twice, bombing Taft Slalom as far up the traverse as we could, and then walking to the top. After our lunch break, River and Patrick dropped a car at the base of Tuckerbrook, while Matt and I skied Upper and Middle Hardscrabble. Both trails were shiny in the steepest spots and required precision turning on available patches of soft snow and carveable bumps. Our afternoon adventure sent to us back to Mittersill. We found thin, natural cover, and a few untracked lines on a tight path down the nearly 3,000-foot descent from the summit. We spent the rest of the day in the trees and we made one final run down the Hardscrabbles. The wind, the conditions, the terrain and the scenery made the day a classic. Cannon is a great, big mountain. Wow sounds great – I always wanted to ski Cannon but have not made it there yet. I have proposed a bill in the NH legislature to institute a tariff on out of state bloggers, and their use of our mountain’s bold, iconic imagery and reputation for their own gain. Will be calculated on a per page view basis. Glad you had fun. Live Free! (or die). A good action ski photo is worth its weight in gold, but a static one that perfectly captures the feel of a place/day is also great; e. g., the photo of Patrick hiking to Mittersill. Those New Hampshire folks take their state motto “Live Free or Die” seriously. Only state I’ve ever been to where you can buy booze right on the interstate. You don’t even have to exit. Just pull into the rest stop and load up. “…lift rides demanded a certain sense of humor” is such a great line and the total truth! Glad you finally got to ski NH and it was a total blast and privilege to show you around Cannon. Hopefully one day down the road you’ll be able to return when all options are on the table and you can see the rest of what the mountain has to offer.